Dr. Lois Geertz, a native of Boulder, Colorado, holds the Doctor of Musical Arts degree in Violin Performance and Pedagogy with an emphasis in the Suzuki philosophy from the University of Oregon. She also holds the Bachelor of Music degree from the University of Houston and Master of Music degrees from the University of Wyoming and Louisiana State University. International studies and performances include Mexico City, Mexico and Rome, Italy. Dr. Geertz maintains an active solo, chamber music and orchestral career including performances in Colorado, Texas, Oregon, Louisiana, Michigan and Wyoming. Dr. Geertz has been teaching violin and viola for 15 years. She is currently on the faculty of the Houston Suzuki Academy in Houston, TX. 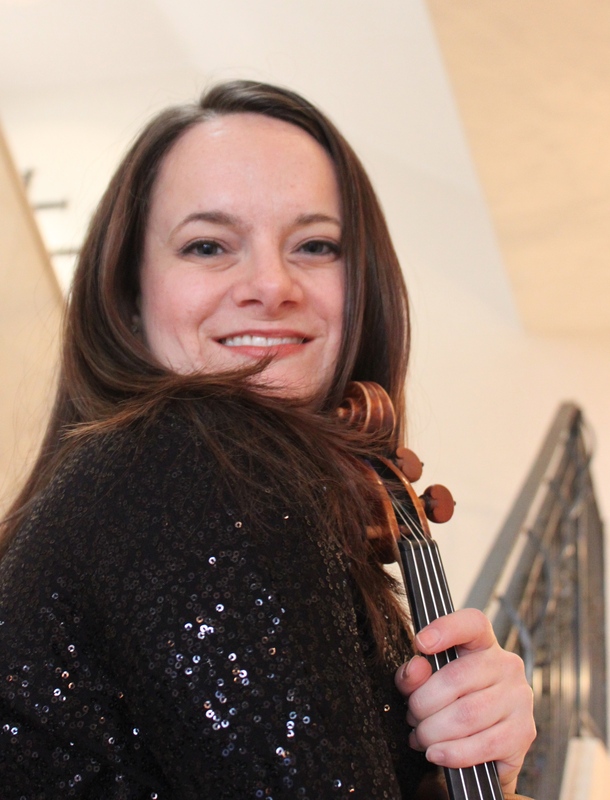 She has served on the faculties of the Community Music Institute of UO, the String Academy of Wyoming, and has spent six summers on the faculty of the Blue Lake Fine Arts Camp in Michigan as a performer and teacher. Her passion for international musical collaboration and teaching have led to participation in the Orchestra of Carlos Chavez in Mexico City, orchestral and solo performances with the Rome Festival, 2003, and her appointment to the faculty of the Grumo Festival, 2016, where she toured as a soloist, chamber musician, and teacher throughout Italy. While living in New Orleans from 2014-2016, Geertz served as Artistic Director of the Greater New Orleans Suzuki Forum, headed the string department at the Ellis Marsalis Center for Music, and founded the Con Brio String Academy. Dr. Geertz also has extensive orchestra experience. In addition to serving as an associate (substitute) member of the Chicago Civic Symphony, she has played with many orchestras including the Louisiana Philharmonic Orchestra (LA), the Baton Rouge Symphony (LA), the Acadiana Symphony (LA), the Eugene Symphony Orchestra (OR) the Boulder Chamber Orchestra (CO), and the Greeley Philharmonic Orchestra (CO).